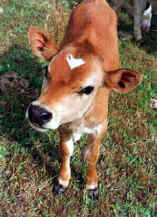 Having said that, we realize that in the present world in which few have the courage or integrity to live the truth and until Isaiah’s prophecy comes to pass, the only path open that attempts to rectify the barbaric injustices to which animals are routinely subjected is the one Steven M. Wise delineates in this clear, meticulously researched, well-documented work to give animals "legal personhood". 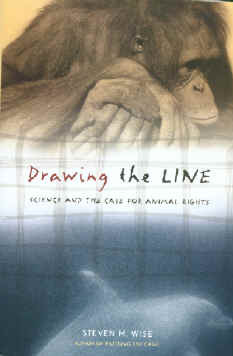 Wise presents evidence for basic rights for many of the creatures with whom we share this earth. The time has come for this attorney’s approach to begin to correct a long-festering problem humankind has dodged throughout history. As the knowledge of the Lord begins to fill the earth and as fewer and fewer hiding places for lies and distortions remain, people will be forced to acknowledge the evil they have imposed on those who have not been able to speak or defend themselves. Hopefully, Drawing the Line is a light that will begin to eradicate the darkness through legal means, since for millennia humankind has been reluctant to abandon their abuse of those they consider "lesser beings". Under the heading "Who Should Get Basic Liberty Rights under the Common Law?" Wise categorizes autonomy values using four criteria. The highest category is occupied by "Christopher" (the author’s son) who represents humans. 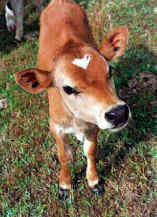 A chapter is devoted to the development of Christopher’s mind, which forms a basis or a "yardstick" for comparison between humans and other animals. Other chapters follow, each presenting evidence concerning a particular species. From honeybees to dogs, parrots to bonobos, we are introduced to fascinating, indisputable facts about an array of personalities; the very personalities that humans have been denying exist in animals so that they can continue to abuse them. This book is a must read for anyone who is truly interested in bringing justice to this world. 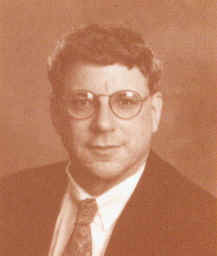 STEVEN M. WISE is a pioneer in the field of animal rights law. For over twenty years, he has split his time among litigating animal protection cases, teaching animal rights law courses at law schools, including Harvard, Vermont, and John Marshall, and writing and speaking on animal law. He has taken on virtually every type of animal-related case, from suing the U.S. Patent Office to stop it from issuing patents for genetically engineered animals, to defending condominium owners evicted for having a companion animal. Wise's ultimate goal is to win "legal personhood" for at least some nonhuman animals. Author of the widely praised Rattling the Cage: Toward Legal Rights for Animals, he is the former President of the Animal Legal Defense Fund and current President of the Center for the Expansion of Fundamental Rights, Inc.